My friend, Dr George Vitale, is one of the world's foremost Taekwon-Do historians. His knowledge of Taekwon-Do and its history is only surpassed by his passion for the topic. 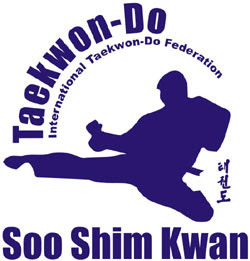 In the podcast below you can here a podcast in which he discusses the early history of Taekwon-Do and its connection with the "controversial" General Choi Hong-Hi. The interview was conducted by "Korea and the World", a really good podcast that is worth following for people interested in Korea. You can read more about the interview with Dr Vitale on their website and also download an extended version of the interview. I'm pleased to say that I played a part in making this interview happen (by connecting Korea and the World with Dr Vitale). I think it was a great discussion that may be helpful for people to get a little better understanding of the history and politics surrounding Taekwon-Do and its principle founder, General Choi Hong-Hi.